A brand new 2018 model of the trendy new Vanquish Line of Express cruisers. 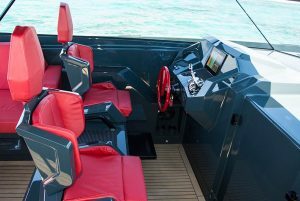 Head turning design, smart functional areas to hangout front and aft, awesome vessel! Beautiful White paint and Red upholstery throughout this yacht! Several outdoor seating areas and bow sunpads. 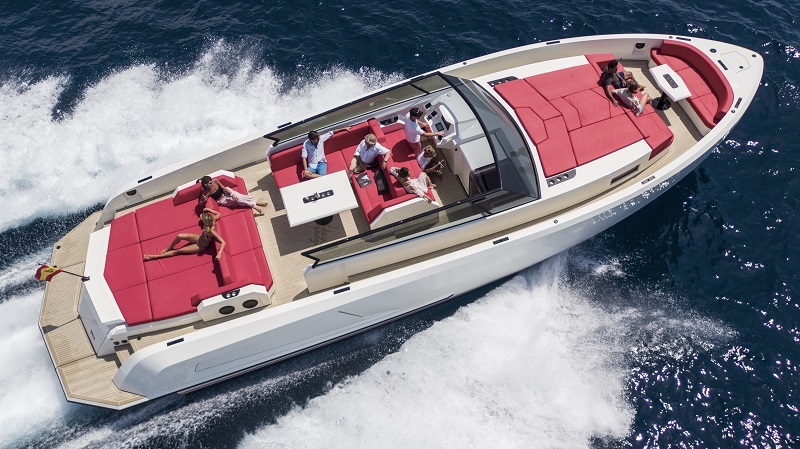 Bimini top to get out of the sun. Waverunners/Jetskis available on request for an additional fee.